LONDON, February 8, 2018 – Universal Music is proud to announce that pioneering EMI engineer Alan Dower Blumlein’s ground-breaking invention of stereo sound is being celebrated as part of a major campaign launched by the UK government, marking the 400th anniversary of the grant of British patent number one. 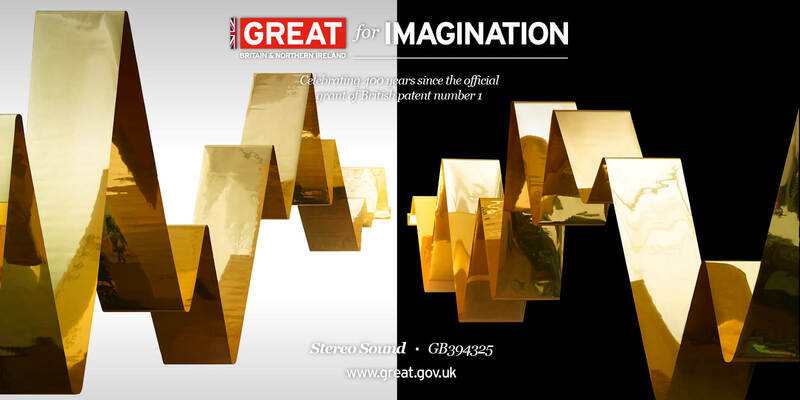 The campaign, titled ‘GREAT for Imagination’, is showcasing some of the most remarkable innovations to be developed and patented in Britain over the last four centuries and is a partnership between the GREAT Britain Campaign and the UK Intellectual Property Office, with support from the British Library and Innovate UK. As part of the campaign, Alan Dower Blumlein’s invention of stereo sound has been brought to life visually by expert British still life photographer Ted Humble-Smith, in collaboration with artist and production designer Emma Winter. Alan Dower Blumlein invented stereo sound whilst working at EMI’s Central Research Laboratories in the 1930s. He filed the patent for “Improvements in and relating to sound-transmission, sound-recording and sound-reproducing systems” in December 1931. It contained 70 individual claims including the positioning of a pair of microphones, processing of sound from the microphones and cutting equipment to record two channels into a single record groove which together represent the beginnings of stereo recording and stereo sound, which in time would completely revolutionise the music and audiovisual industries. The invention was so significant that he was awarded a posthumous Grammy by the Recording Academy in 2017 in recognition of his revolutionary work. Born in Hampstead, London on 29 June 1903, Blumlein was one of the most prolific inventors of the twentieth century, earning a total of 128 patents in his short life. According to the EMI Archive Trust, custodian of Blumlein’s research papers and prototypes, he filed 121 of those patents in the space of 13 years, covering key developments in the fields of sound recording, television and radar. On June 7, 1942 during World War II, aged just 38, Blumlein’s life was cut tragically short in an aircraft accident whilst testing the H2S airborne radar system that the team he was leading had developed and which was soon after deployed throughout the RAF’s fleet.